Rewards Canada: August 24 Update: Air Canada to launch Montreal-Tokyo flights, bonus AIR MILES for Hudson Bay eGift Cards & more! August 24 Update: Air Canada to launch Montreal-Tokyo flights, bonus AIR MILES for Hudson Bay eGift Cards & more! 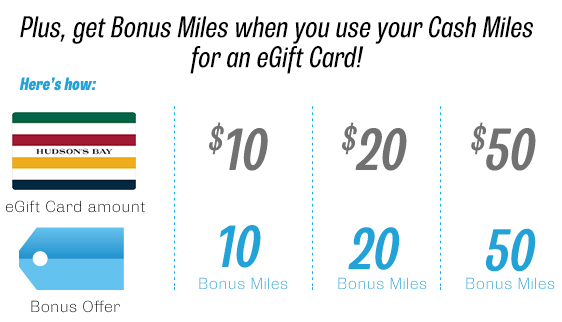 AIR MILES is offering some bonus Reward Miles when you redeem some of your Cash Miles for Hudson Bay eGift cards. 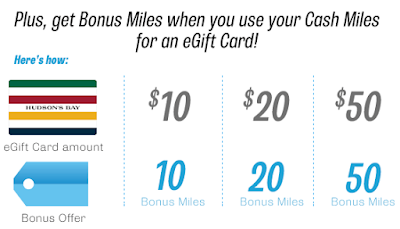 You'll receive 10 bonus AIR MILES for every $10 of eGfit Cards you order up to $50. This means you are effectively redeeming 85 miles for every $10. Not a bad deal. Find out more here. Check out our co-brand page on Agoda.com! Its actually for our global site FrequentFlyerBonuses.com but in reality FFB and Rewards Canada are one in the same. You can use this page to make any hotel bookings you normally would make via Agoda including PointsMax bookings which are just like PointsHound, Rocketmiles, Kaligo bookings in that you can earn thousands of airline miles with many different airline on those stays. 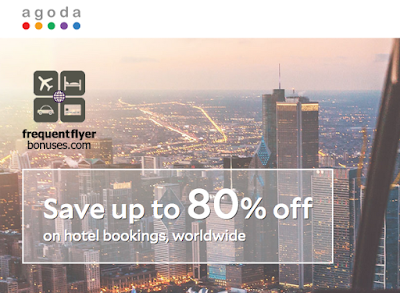 Booking via this page helps support Rewards Canada! Check the page out here!